I'm a sucker for shows with couples because I love to hear two people in conversation who know each other so well. I realize this can sometimes devolve into a series of inside jokes no one outside the couple can understand, but great podcasters know they shouldn't do that. Tiff and Marco are excellent podcasters. Instead of entertaining themselves with a bunch of pre-existing personal jokes, they have created a whole new series of jokes that all listeners are a part of. This is exactly the kind of community building that makes me love podcasts. 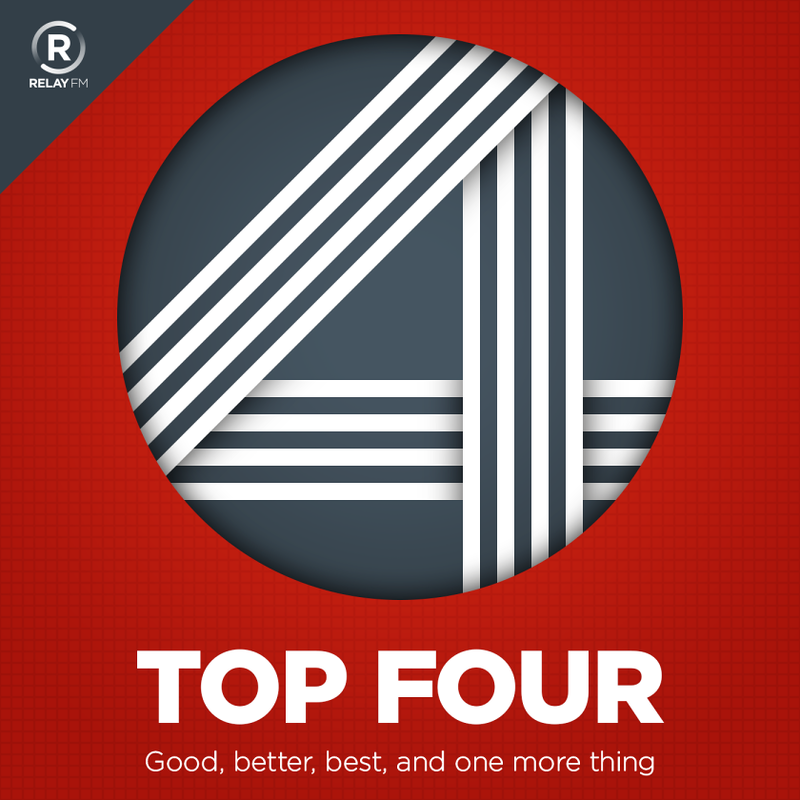 I highly recommend Top Four to anyone with even a passing interest in podcasts, and picking a first episode is as simple as reviewing the 40 they've published and selecting a topic you find interesting. If you find Tiff and Marco as delightful as I do, you'll probably want to go back and listen to them all. Unlike most shows, that's not hard to do because the episodes are usually under and hour and they only post once a month.